Co-Principal of the Osteopathie Schule Deutschland (German Osteopathic School), teacher at the polish branch OSD -Polska. Torsten Liem MSc DO is Joint Principal of the German School of Osteopathy, a practising osteopath, lecturer in cranial osteopathy and head of several osteopathic MSc-programmes in Germany and Europe. He is the author and editor of several books and has written numerous articles. 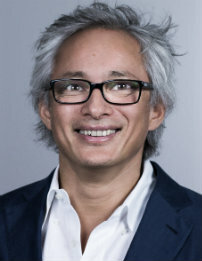 Torsten Liem is organiser of the international osteopathy symposia in Berlin; founder of an osteopathic teaching clinic and of the charitably financed centre for paediatric osteopathy in Hamburg. Author and editor of 14 books about Osteopathy. Translated into english, french, spanish, russian, japanese, polish, etc. Leitfaden Osteopathie. 3. Aufl. Elsevier, München 2009. Praxis der Kraniosakralen Osteopathie 3. Überarbeitete Auflage, Haug, Stuttgart, 2010. Checkliste Kraniosakrale Osteopathie. 2. Aufl. Haug, Stuttgart, 2012. Prüfungsfragen Osteopathie. Haug, Stuttgart, 2013. Osteopathie. Gezieltes Lösen von Blockaden. Trias, Stuttgart, 2013. Kraniosakrale Osteopathie: Ein praktisches Lehrbuch. 6. Auflage. Haug, Stuttgart, 2013. Leitfaden viszerale Osteopathie. 2. Auflage, Elsevier, München, 2013. Morphodynamik in der Osteopathie. 2. Aktualisierte Aufl., Haug, Stuttgart, 2013. Osteopathische Behandlung von Kindern. 2. Aufl. Haug, Stuttgart, 2013.